The true “First Lady” of Mississippi State University (then called Mississippi A&M College) was a unique woman, the child of a unique time. Regina Lily Harrison was born February 24, 1841, of Columbus, Mississippi. Her father was James Harrison, a prominent lawyer who was once chosen to defend Jefferson Davis if he had been brought to trial. Her mother was Regina Blewett Harrison, the daughter of Major Thomas Blewett, one of the few wealthy Southerners to come through the War Between the States with his fortune intact. Her impact on the budding University was formidable General Stephen D. Lee, her husband, depended greatly on her advice and sought it on most of the university problems that arose during his tenure as first president of the University. Regina Lily Harrison was reared like a princess. She was both beautiful and gifted. Before the war, Tiffany’s compiled a list of the 900 most beautiful women in the Universe. Regina was on the list that appeared in the New York Times. She was a favorite of her grandfather, Major Blewett, who delighted in taking her on trips with him. She accompanied him to Montgomery, Alabama, once where she was a witness to the formation of the Confederacy. The two of them stayed at the Exchange Hotel and letters from her during her visit gave a graphic picture of an excited young women on a holiday, but knowing full well the importance of what was unfolding. 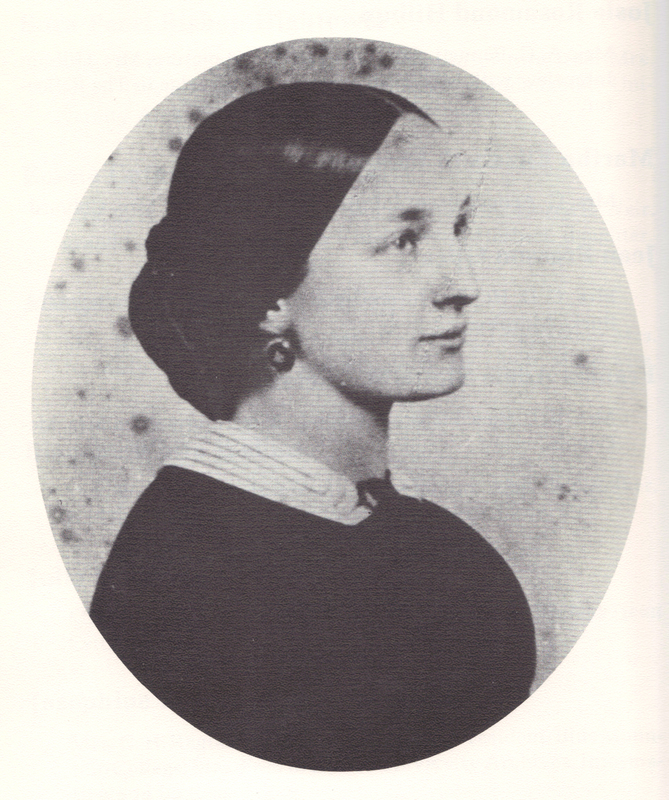 She wrote, “For two weeks I sat opposite Mr. And Mrs. Jefferson Davis at the table for supper. I took wine with Mr. Davis and an old acquaintance of the family. The elegant Col. William S. Berry and his wife sat with us.” In youthful impatience she wrote, “Every day we went to the State House and after two or three bills were read, some mean old member would rise and say I move we go into secret session.” On March, 1891, she stood in front of the capitol in Montgomery and watched the Stars and Bars run up for the first time. Back in Columbus, she was involved in a frenzy of activities after the way began. Major Blewett’s home was a gathering place for Confederate officers. He equipped and armed a battalion of men and Regina was the beloved of the entire cadet force. A battle flag of Company C, 2nd Bn., Mississippi Infantry CSA, made from silk dresses donated by Regina and Anna Fort is now in the Mississippi Archives. Among the handsome young officers who were domiciled with Major Blewett was Lt. Gen. Stephen D. Lee. He had been wounded in the retreat from Nashville and went to the hospital in Tupelo. From there he came to Columbus where he was in command of a company of cavalry. There he me and fell in love with Regina Harrison. They were married on February 9, 1865. The wedding took place at the home of her parents, now the parsonage of the Cumberland Presbyterian Church. Several accounts exist of the wedding, which was undoubtedly the social event of the season. Eight couples acted as attendants, the men in full dress uniform. The bride’s maids were all in white with crimson sashes fastened with gold stars and tiaras of red flowers on their heads. The bride wore white satin with a magnificent lace veil and diamonds. General Lee was in uniform, but could not wear boots because of his injury and was on crutches. One month after the wedding the couple moved into Harrison House, now gone. They lived there for 10 years, while Lee retuned to civilian life as a planter. On March 1, 1887, their only child, Blewett was born. In 1878 Lee was elected State Senator and then in 1880 was chosen as the first president of the new A&M College. In the mid-1890s, General Lee was tempted to enter the race for governor but withdrew because Mrs. Lee was in failing health. She died on October 3, 1903 and is busied in Friendship Cemetery in Columbus. Their son, Blewett, was one of the first graduates of A&M. He was a successful businessman, a professor of law at Northwestern in Chicago and served in the cabinet of President Taft. The Blewett-Harrison-Lee home was his gift to the City of Columbus to be used for educational purposes.